It is rare to get an "empty park" view down Main Street at the busiest theme park in the world. However, I had just this opportunity while taking the "Magic Behind Our Steam Trains" Tour at the Magic Kingdom last week. 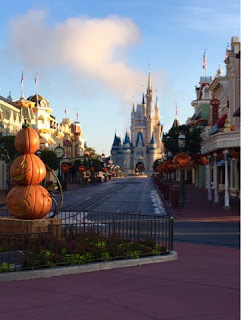 This shot was taken at about 7:30, which was about 90 minutes before the park opened.